Wholesale Reptile Terrariums & Cages - The Serpentarium, Inc.
Buy Wholesale Reptile Glass Terrariums For Sale in Bulk! Buy Wholesale Reptile Screen Cages For Sale in Bulk! Buy Wholesale Reptile Plastic Containers For Sale in Bulk! Buy Wholesale Reptile Wooden Enclosures For Sale in Bulk! 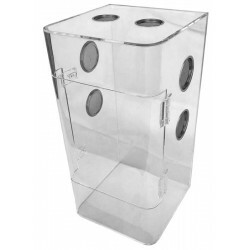 Buy Wholesale Terrarium Screen Covers For Sale in Bulk! We offer EVERY Replacement Part for Exo Terra Terrariums!